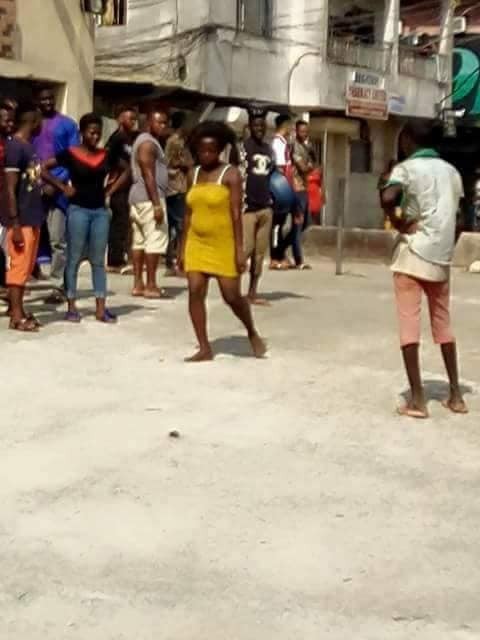 The young lady you see above is currently been tied by youths in Aba after she ran into the street and started performing sign of madness. Not much details was given, But Chinomso who shared the photos on her page, said she went mad after sleeping with a married man. 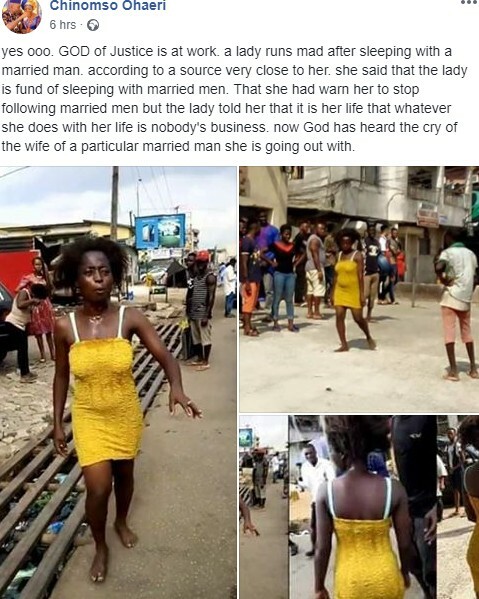 That she was warned to stop running around married men, but the lady refused.. 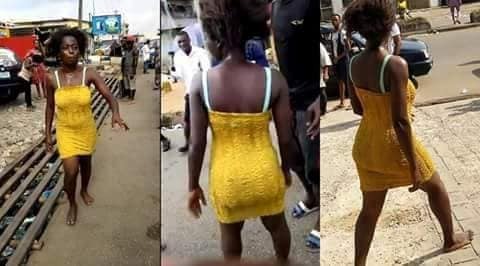 I'm yet to get her name, but read her post below plus more photos.